Hi First of all, I want to thank everyone that reads this. It is so amazing to have over 9 thousand reviews! A lot of people said they like this story but I still have issues with it. I wrote this at school during lunch period after Beth was killed off in Season 5. I was pissed and I wanted to write how I thought the story should go. I'm a sucker for romance so this story came out EXTREMELY out of character for Daryl and several characters. This is for fun of course but I still have several issues with this story. It has punctuation and spelling errors galore and I'm so sorry. I might re-write this one day but for now, I'm on a break from the Walking Dead fandom and I no longer have the inspiration to write about Bethyl. 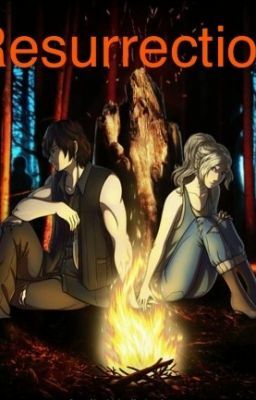 The part two of this story is discontinued and do I plan on writing more to it? No. Resurrection should be enjoyed on its own and I shouldn't have made a part two. This story is a sloppy mess and I'm so sorry for it. I hope you enjoy it nonetheless. :) Thank you for reading.